With every family adventure movie comes a tie-in videogame. With the odd exception, such as the excellent Spider-Man 2, they are predictably terrible. Following the movie plot in the vaguest way possible, they are games in the most basic form. Lacklustre visuals, incredibly simplistic gameplay that offers no challenges and a general package that will appeal to children who don't require much for entertainment. The movie in question this time is The Adventures of Tintin: Secret of the Unicorn. The movie looks absolutely fantastic, so surely the game will be amazing? Think again. 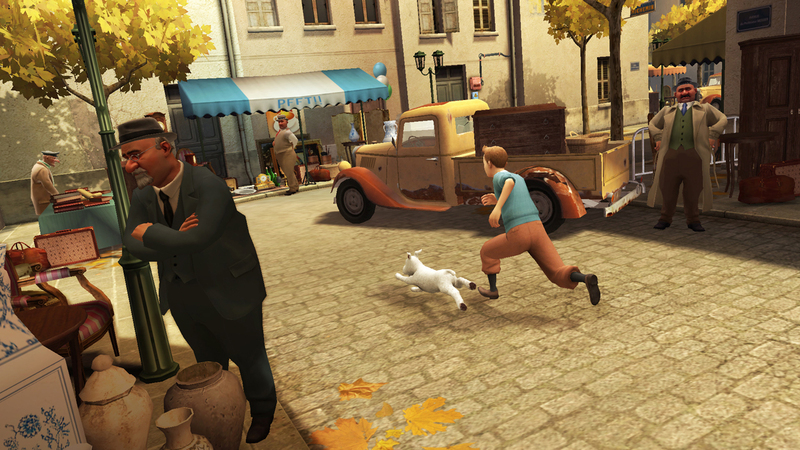 Tintin's videogame adventure is no better than the rest of the drab, shallow movie games, converting Spielberg's epic film into an embarrassing excuse for a game. Starting as Snowy the dog, you get a feel for the controls and overall feel of the game. It is split into third person, side scrolling and vehicular sections. The third person sections are usually used to introduce a new location. The main problem with these bits is the camera. You have no camera control, and it's not even just a camera that follows Tintin. In many cases, the game switches between set cameras, obviously flicking between the cameras that you are closest to. In most cases, it's hard not to feel useless and navigating around the levels does become frustrating. The side scrolling sections are by far the best in the game, with some decent platforming and puzzles. The combat is far too simple and repetitive, but for the main audience of the game, kids, it does have to be pretty standard. The vehicle sections don't appear as often as the rest, which could be seen as a good thing. There are a couple of different vehicles you can control, but they're all slightly boring. For example, a bike chase through the desert sees you shooting pursuers with your slingshot. Fun for a couple of times, but they keep on coming for a good few minutes. It's by no means challenging, and it gets so repetitive that you'll just want it to end instantly. 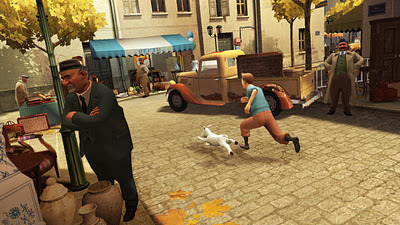 You'll play the game mainly as Tintin, with a few sections as Snowy and Captain Haddock. Whilst the graphics aren't too great, the locations look nice enough. The graphics are also a problem. They aren't terrible, but they are definitely lacking. By no means do they push the capabilities of the current generation of consoles. The textures are low resolution and the character models have jagged edges. The water however, looks fantastic! It's just a shame the same amount of detail and effort wasn't put into the rest of the graphics. The facial expressions on the characters are unsettling. They have no definable expressions, just slight variations which might as well not be there. The eyes look like marbles, and the skin looks way too shiny. Fortunately, the effort in the animation department is better than the character models, and there is no problem with the movement of the characters. The physics aren't realistic, but that's not a problem for the children who will be the only ones playing it. The cast of the film unfortunately do not provide the voiceovers, but the casting has been handled well, and the actors do a good enough job to recreate the characters. The story mode is unforgivably short, finishing just 3-4 hours after starting, but that's not all that the game has to offer. There are challenge modes, which are small sections of the game, and must be completed quickly to earn medals. They are quite good for short bursts of fun, but won't keep you busy for too long. The best mode however, which is far superior to the story mode, is Tintin and Haddock. 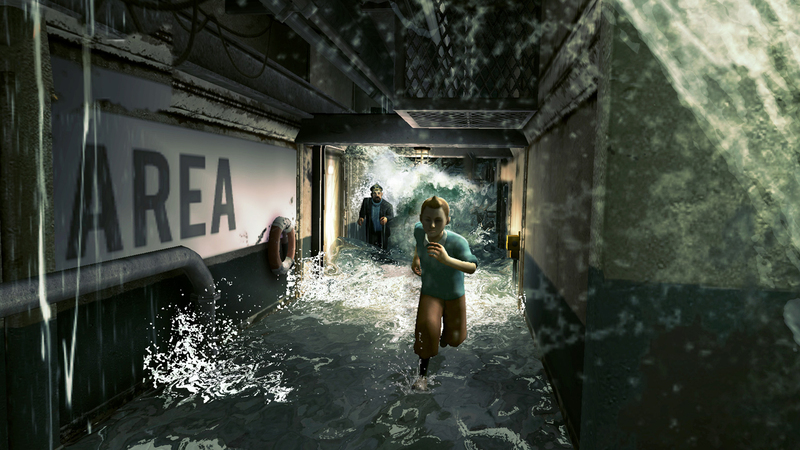 Set after the main story, these levels take place in Haddock's dreams. After being knocked out in an accident, Captain Haddock drifts in and out of consciousness, mixing dreams with reality and providing the most fun that can be found in the game. With twisted characters, enemies, locations and puzzles, the game finally shows some creativity and even a few challenges. It adds a good few hours to the ridiculously short lifespan of the game, and is great fun. You must find collectables on each level, which in turn unlocks badges, achievements and extra levels. On top of this, there are coins and jewels to collect, which allow you to buy many different costumes for each of the four playable characters. They are fun costumes too, such as invisible Tintin, or chrome Haddock. After playing the shabby story mode, the discovery of Tintin and Haddock mode was a welcome one, and is an amazing and necessary addition to the game. There are some unique sections which are great, but few and far between. 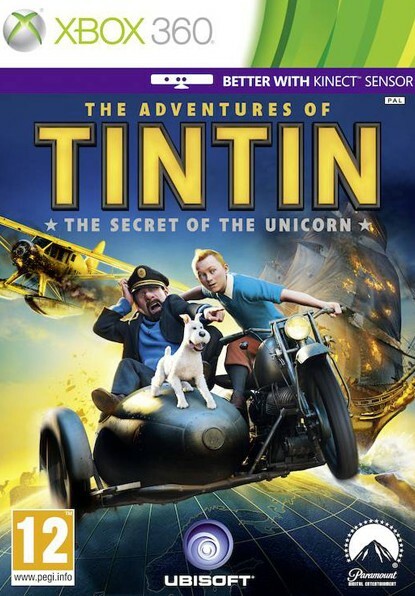 The Adventures of Tintin: Secret of the Unicorn should have been better than this. With the amazing combination of geniuses behind the movie, Steven Spielberg and Peter Jackson, you would expect the game to be nothing short of perfect. Unfortunately it's not the case. The short story mode, unpolished visuals and unoriginal gameplay makes it another movie tie-in that should be ignored. The Tintin and Haddock mode does save it somewhat, but it's unfortunate that the best aspect of the game is an extra which will probably be ignored by most. Not good enough! Interesting review! I didn't realize 1920's costumes would make a great addition to modern games.